In her poetry, fiction, and nonfiction, R.R. Noall strives to capture moments. You can find all of her creative published work here. In September 2018, Hope, a nonfiction essay was published. This story captures a moment between Noall and a stranger in a parking lot. In February 2018 "The Problem" was published by Genre: Urban Arts. This story is about Noall's experience working with students in Cleveland. You can purchase N–o. 3 here. 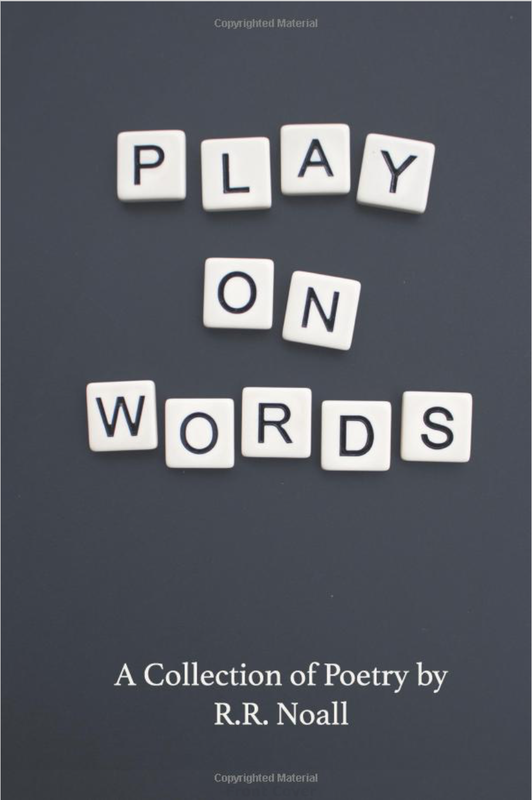 Published in December 2017, Play On Words is R.R. Noall's debut poetry collection. Using idioms, Noall investigates, deconstructs, and questions her own growth and experiences as a writer and human. "These poems have a heart if you open to them. With just a few choice words, R.R. Noall tells a beautiful story. The pictures she paints with her words are vivid, emotional, evocative. Some poems bring smiles, some tears, some memories of lives left behind, but all of them touched me..."
"Simplicity is amplified and the work speaks for itself." "I loved this book from beginning to end!!! This book is the kind to read aloud in a quiet atmosphere, to feel each word, tug at your heart strings. When read aloud, I felt everything, and I loved every moment..."
You can purchase Play On Words here, or find it in bookstores nationwide. Two of R.R. Noall's poems were published in Her Heart Poetry's annual publication. You can find Sailor and Hands in this publication. The Giveaway, a piece of nonfiction, was published in Issue 2. You can read it here. Two pieces by R.R. Noall appeared in Issue 1 of CEO lit mag: A Woman, a poem, and Heartbreak 2x, a piece of nonfiction. You can read them here.